Funding for the Washington Street project comes from the RTA Funding and Reform Act - which was ultimately approved in January 2008. 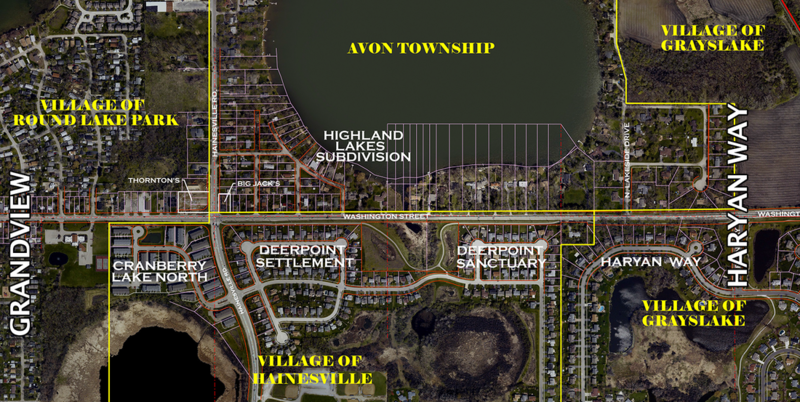 This increased Lake County’s transportation budget by roughly $20 million and allowed them to begin addressing congestion issues - this led to the Washington Street roadway and grade separation projects. Funding was secured through the Challenge Bond Program. In early 2009, the Washington Street project was initiated by the Lake County Division of Transportation (LCDOT) as a Phase I Study to identify transportation problems, analyze alternative solutions and evaluate any environmental impacts and historical resources. The Phase I Study was also the time to get stakeholders involved so the improvements could address the needs of the community. On February 18, 2009, LCDOT held the first public meeting for the community to see the project scope, ask questions and provide input. A second public meeting was held on August 12, 2010 to present updated material and progress to the community. The last public meeting was held on June 7, 2011. After that, the preferred alternative for the design of the project was chosen and the Phase I Study was completed in the summer of 2011. In the summer of 2011, the Phase II portion of the project began; Phase II included the preparation of the design plans and land acquisition amongst other work such as coordinating the relocation of existing utilities. Phase II final plan design is anticipated to be complete in late 2014 with all necessary permits and land acquired to begin construction.